This article highlights six areas to focus on for the year ahead. There is a big difference between thinking you know how your business will react in certain circumstances and really understanding what drives your bottom line and what will happen if a key aspect is impacted. When things start to go wrong it can sometimes take SMEs too long to correctly diagnose a problem and take appropriate corrective action. Managers and directors who have completed a SWOT analysis of their businesses and know possible threats and opportunities in great detail can save a lot of time, money and literally their own businesses when conditions turn negative. You may think you know your longer-term competitors, but do you know about new entrants in the same detail? Are you aware of who will enter your market in the coming months and how they plan to try and disrupt incumbents like you? Only when you have this information and have systems in place to receive regular updates will you be in a position to stay ahead of these and other competitors who have yet to show their hands. Your products and services are the drivers of your business, but are they still meeting the needs of your customers? Is your service offering consistent and reliable and really as good as you think it is? Have you had this verified by independent parties and asked your customers what they think? Customer surveys are a great source of feedback and are easy to carry out online. Just as important; is your product information up to date and communicated prominently on websites and other channels? 4. Are you prepared for a downturn? Are you up to speed on what economists and industry experts are saying about possible growth or a slowdown in your business sector? Economists are divided over whether there will be an economic correction in 2019, with some warning about the chances of a recession. Are you prepared for this possibility? Think about how you would respond to keep your business healthy. Also, do you know how you would manage costs if revenue fell significantly? Do you know what proportion of your costs are fixed and what percentage could be turned off at short notice? Prepare for a sudden major downturn by planning what you would do first, second, third and why. Do you how much cash comes into and out of your business on a daily, weekly and monthly basis? Do you know how it changes with the seasons and under certain conditions? Cash is the lifeblood of your business - what will happen if and when you need an urgent infusion to capture growth opportunities or get through challenging periods? You should know where and who to turn to and have a trusted financier who can provide you with a reliable source of cash flow. This is becoming increasingly important as banks are tightening credit conditions and demanding property and other assets as security. 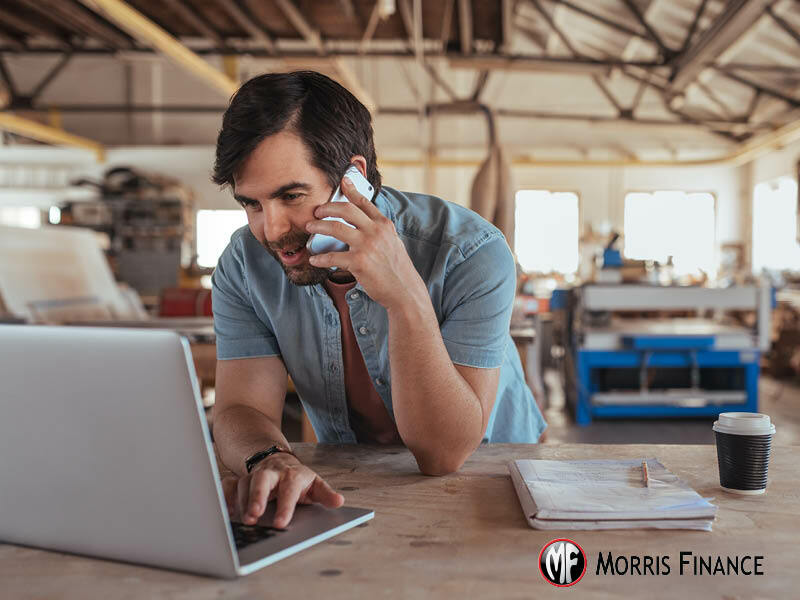 Contact Morris Finance today to unlock your full business potential.